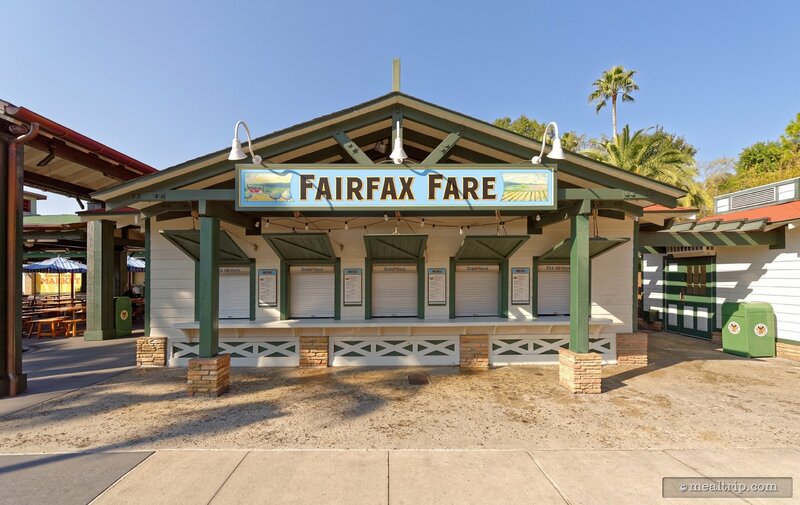 Located at the end of Sunset Boulevard, close to the Tower of Terror, Fairfax Fare is counter service location that borrows it's appearance from a small, west coast, open market building. Fairfax Fair offers only limited, outdoor seating. 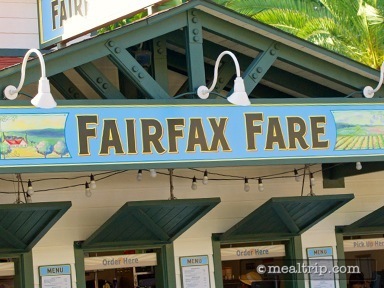 Food-wise, if Fairfax Fare is open before 10:30am, they're probably serving a few "breakfast" items. 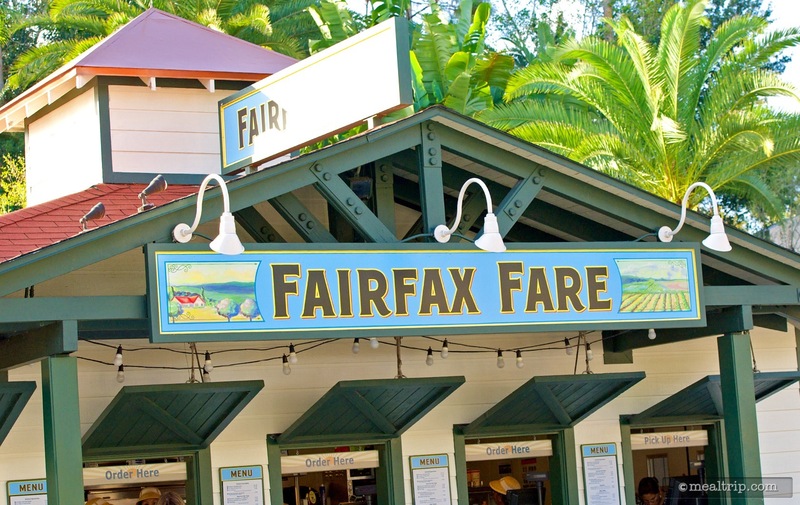 That's not really the norm for Fairfax Fare... breakfast options are usually only available at peak seasonal times. 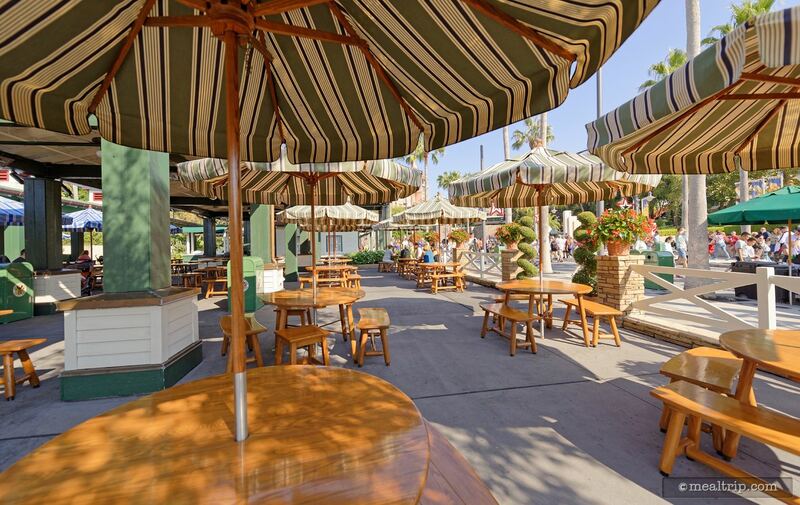 Later in the day, (any time after say... 11am) the menu is more typical American theme-park style food. It's a bit difficult to nail down because the small menu board changes often, but there's generally a hot sandwich or two (i.e. pork or chicken etc.) and hot dogs, etc. We have found giant loaded baked potatoes at Fairfax as well. 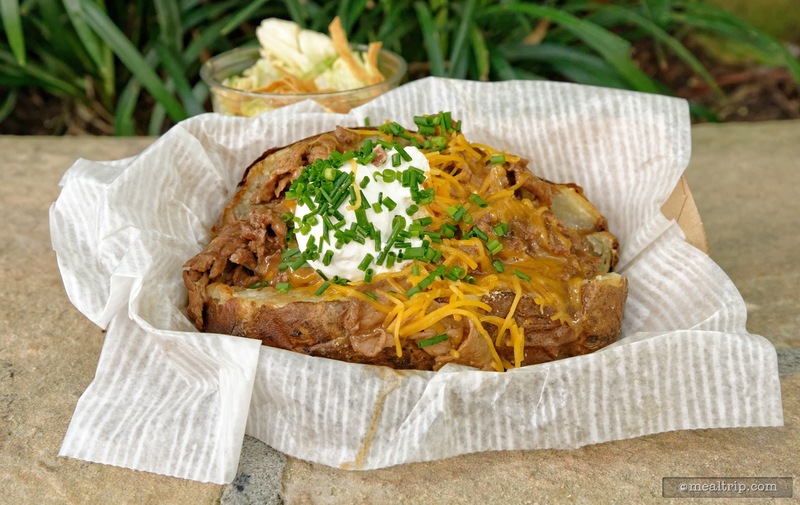 There's nothing better than a giant baked potato filled with stuff. 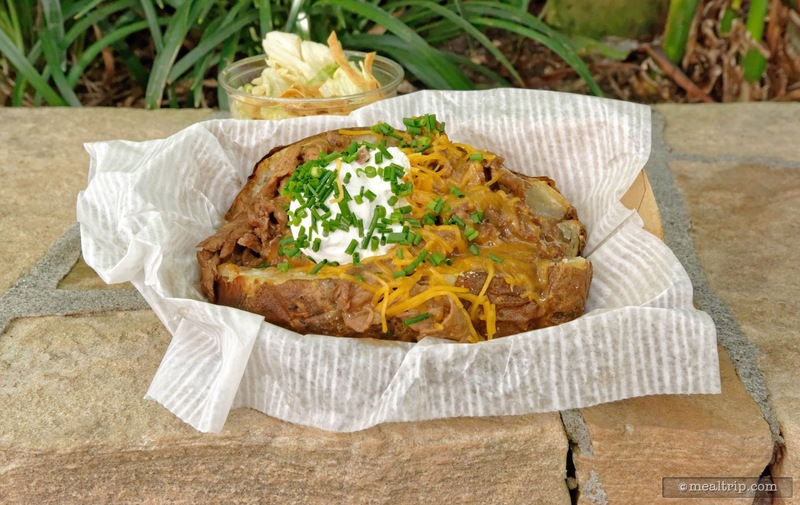 I'm happy to report that the "stuff" they are filling baked potatoes with at Fairfax Fare is a great combination of beef, cheese and sour cream. Add a little course salt to the outer skin of the potato and a tiny side salad, and you've got the makings for a great meal. As far as the food quality goes, this is great theme park food for a counter service location. The potato (and all the stuff in it) keeps warm for a good long time. I didn't find the outer skin to be greasy and the inside of the potato was cooked evenly throughout. While they do bill the beef as "sirloin tips" calling them something "sliced beef in brown gravy" would be more appropriate. (That doesn't make it any less delicious though.) 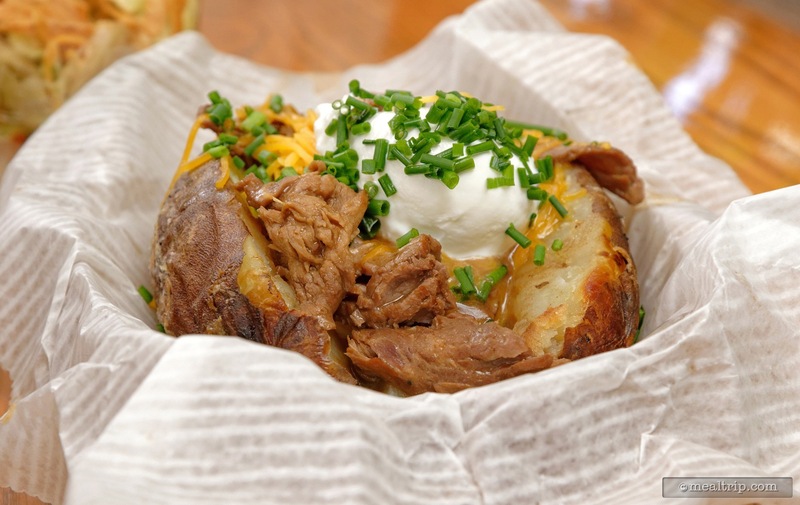 Add in a dollop of cool sour cream, some grated yellow cheese and fresh chives for color... and you have a great "filled" baked potato that's easily large enough for sharing. I was glad the "side salad" was included because it provided a nice change of pace between bites of baked potato. On it's own though, the "salad" probably wouldn't hold it's own. 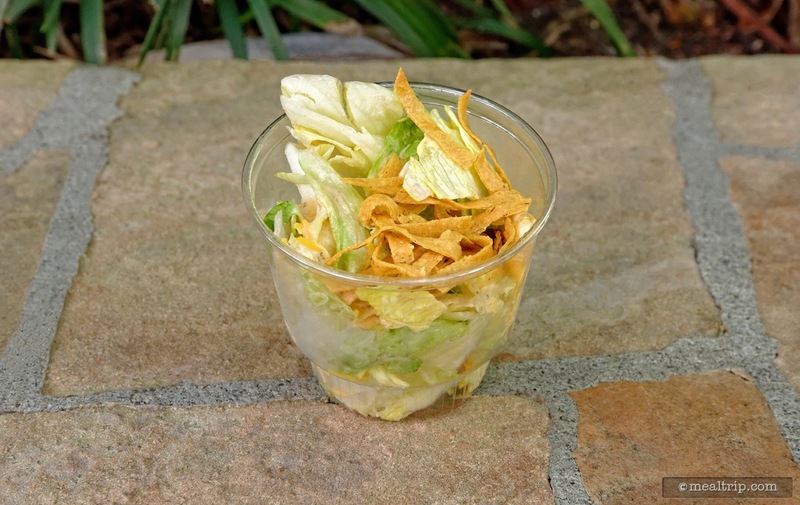 It's basically lettuce and some baked tortilla chips with a very small amount of some type of dressing… probably a vinaigrette, but not very memorable. As a palate cleanser though, it worked perfectly. 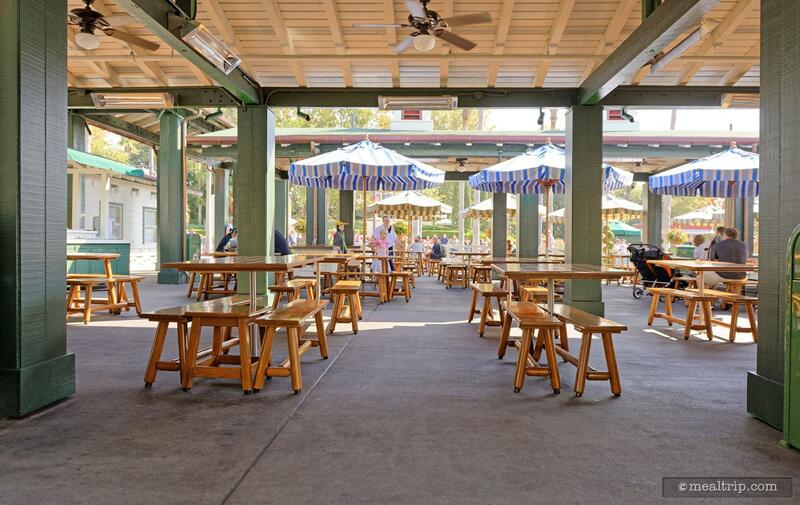 Fairfax Fare is an open-air food court type of setting, so seating can be a mixed experience. 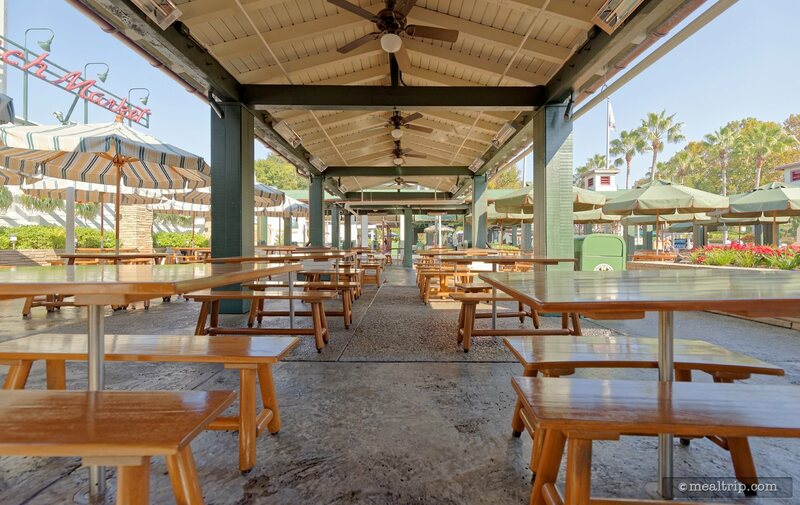 The "Sunset Ranch Market" seating area is large, but has to provide seating for several walk-up counter type food service windows (such as Fairfax Fare, Catalina Eddie's, Rosie's All-American Café, etc.). At peak times, (or if a nearby show just let out) the area can become quite packed and "trolling for a table" becomes a necessary activity if you want to sit down. At non-peak times (i.e. wait an hour before or after typical lunch and dinner periods), and the place is a ghost town. 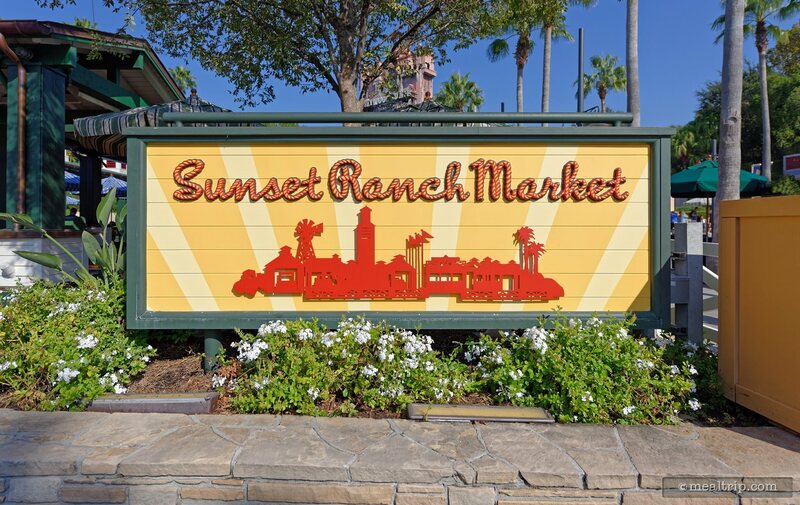 Timing at Fairfax Fare and the Sunset Ranch Market, is everything. If you like loaded baked potatoes though, it's definitely worth a try. There is another, non-beef baked potato option at Fairfax Fare which is around a dollar less (I think) and I'm sure is just as good… although strictly speaking, I don't think there's a "purely" vegan baked potato available. CLICK HERE to view all 9 images in our photo gallery.